Find out how many moons there are in our Solar System, and what makes some of them special. A moon is a natural satellite orbiting a planet or asteroid. There are over 160 moons in orbit around planets within our Solar System. The largest moon in the Solar System is Jupiter's Ganymede and the smallest is Deimos, which orbits Mars. IO, one of Jupiter's moons, has over 400 active volcanoes, while Tethys, one of Saturn's moons, is made entirely of water-ice. 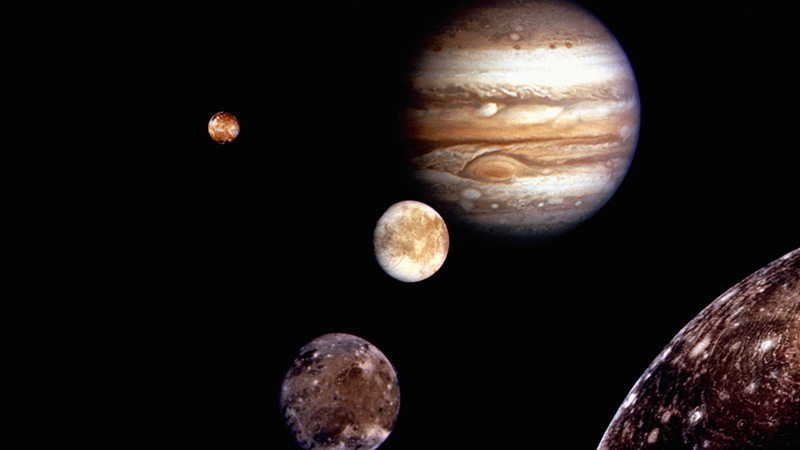 The largest moon is Jupiter's Ganymede – It's bigger than Mercury! Mars' Deimos is one of the smallest – only 7 miles in diameter! How Did Saturn Get Its Rings?